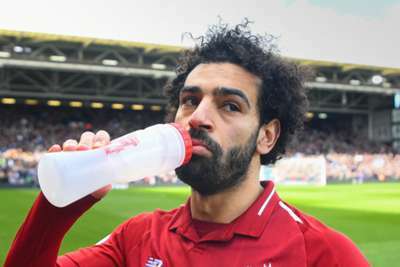 Mohamed Salah has been unlucky during his dry spell of form but goals will soon flow once more for the Liverpool forward, according to Jurgen Klopp. Salah has only scored once in the past two months, but Klopp's men are two points clear of Manchester City in the Premier League table regardless. Sadio Mane's fine form has kept Liverpool's momentum up, the Senegal star having hit 11 goals in his last 11 appearances for the Reds. Although Salah has not been at his best, his 17 Premier League goals this term is still only bettered by one player, City marksman Sergio Aguero. And Klopp feels Mane could be an example for Salah to follow when Liverpool return to action at home to Tottenham on March 31 after the international break. "He is in a really good moment, of course," Klopp told Liverpool's official website. "Sadio played pretty much always like this but now he is always in the right spot in the right moment. "In football it's sometimes like this. The only thing he did when he was not always in the right spot was work and work and work. "That's exactly what Mo has to do, exactly the same: just work, do the right things and it will come again. He's just rather unlucky, where Sadio is lucky in the moment – he is in brilliant shape, that's true. "But then, he is in the right shape and maybe a yard away from him is Mo, but somebody else scored; the cross from Robbo [Andy Robertson, at Fulham], I'm pretty sure Mo would have scored if Gini [Wijnaldum] doesn't get the ball. "These moments... I was a striker, I had that as well, you think, 'Oh' and then somebody else missed the chance. That's how it is, all good. But, of course, it's a brilliant moment for him [Mane]."